& So They Made was born out of an obsession with ideas, wanting them to migrate into the world rather than remain hidden within sketchbook pages. 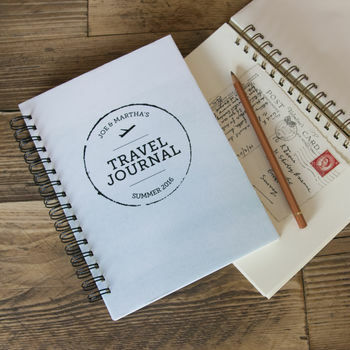 We make everything in house and carefully select our materials from local suppliers, to ensure our ideas are given the best chance to flourish. 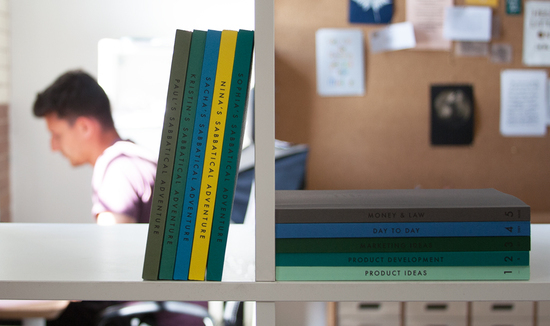 We like to keep a small, focused range to ensure every product is finished to an exceptional standard. 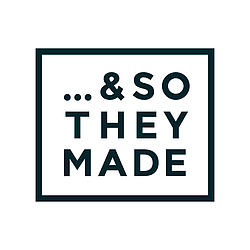 & So They Made is a design platform for the creation of individual pieces with your important gifting occasions in mind. 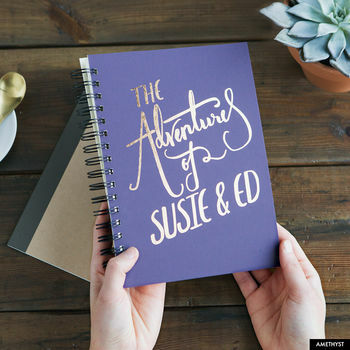 We can't say where that will take our products in the future, but right now we are excited by sourcing new papers and producing hand lettering, and are enjoying seeing our ideas in the hands of many happy customers. "Bought for a friends 40th birthday, she absolutely loved it. 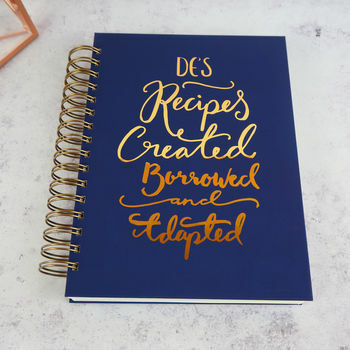 Really premium finish, lovely gift"
"I was looking for a blank recipe book to fill with family & friends fav recipes to give to my daughter on her 18th - this was perfect & looked stunning in grey with copper writing." "Perfect, arrived wrapped and personalised as requested. My daughter and son in law loved it, arrived in time for their American road trip. Thanks you"
"Great product. Came on time and was very impressed. 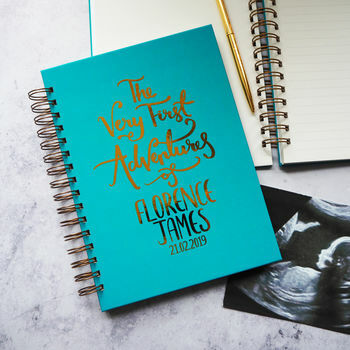 Would make a lovely gift for a new parent."